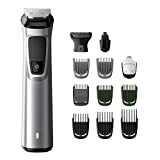 Perfect your personal style with our most precise and versatile trimmer. 13 premium tools empower you to craft your unique style, from head to toe. Enjoy maximum precision with DualCut blades and added control with a no-slip rubber grip. Shave comfortably below the neck with our body shaver. Our unique skin protector system guards even your most sensitive body areas, allowing you to comfortably shave hair as close as 0.5mm. The high-performance Lithium-Ion battery delivers up to 120 minutes of run time per every 1-hour full charge. A 5-minute quick charge delivers one full trim. 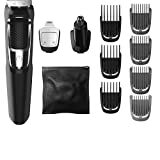 This trimmer is designed to be water-resistant so that you can use it comfortably in the shower and easily clean it under the tap. 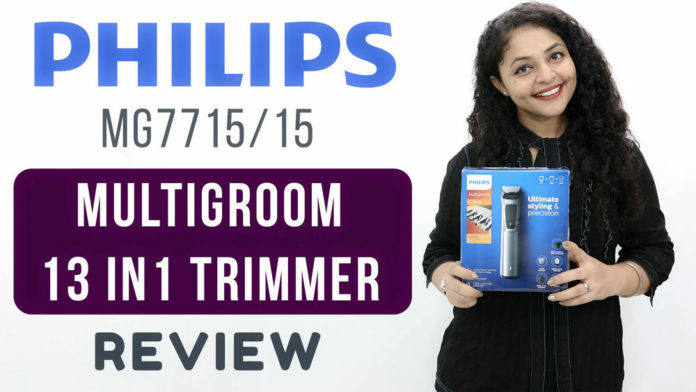 We back this Philips trimmer with a 5-year guarantee. Our grooming products are built to last and engineered to give a reliable performance, time after time. This trimmer’s parts never need to be oiled, and its battery is compatible with all voltages, worldwide.